After conquering Australia, the Indian team will look to conquer New Zealand. After a historic tour of Down Under, wherein they won both Test and ODI series, the Indian team will look forward to continuing their winning momentum when they tour New Zealand for a 5-match ODI and 3-match T20I series. The Indian team has always held a slight upper hand over New Zealand when it comes to playing ODI matches. 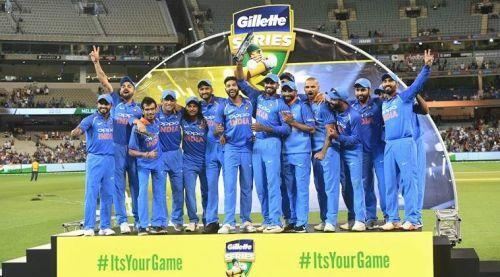 The Men in Blue have won 51 matches compared to 44 won by the Black caps. Virat Kohli and his men will look to continue their good ODI record against the Kiwis when they take on the hosts in a 5-match ODI series, beginning on 23rd January at the McLean Park in Napier. Let us take a look at a few of the records that are likely to be broken by the Indian players during the course of the 5-match ODI series against New Zealand. Since being promoted to open in the fifty-overs format during Champions Trophy 2013, the Indian team vice-captain Rohit Sharma has taken his batting to a different level. He is currently one of the best batsmen in shorter formats of the game. Another record which awaits Rohit when India begins its ODI tour of New Zealand is that he is just 361 runs shy of reaching 8000 runs in ODI cricket. 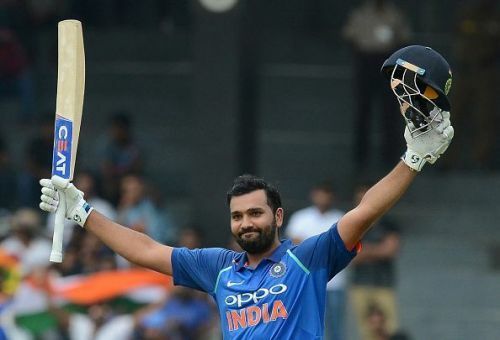 If Rohit manages to score those 361 runs in the 5-match ODI series against New Zealand, then Rohit would break the record of Indian legend Saurav Ganguly and become the 3rd quickest batsmen to reach 8000 runs in ODI cricket behind only Virat Kohli (183 matches) and AB De Villers (190 matches).